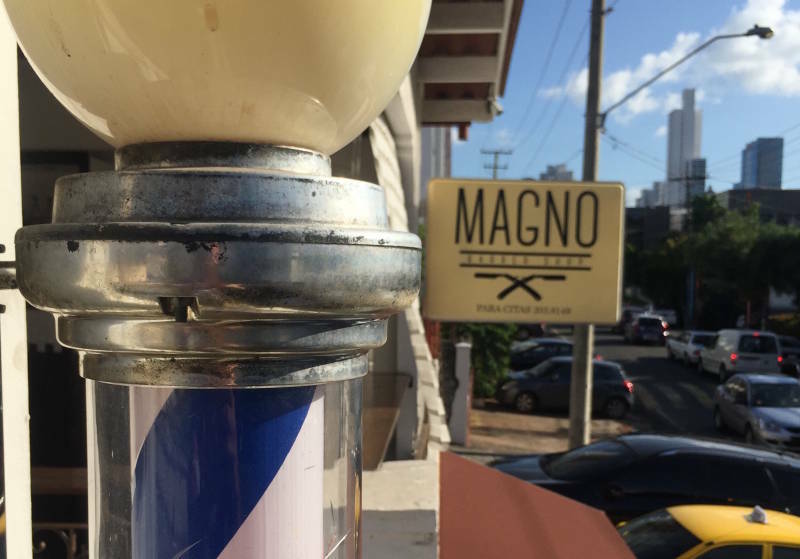 I first discovered the hidden gem of Magno Barber Shop a little over a year ago in Panama City’s San Francisco neighborhood and its been my regular spot for a haircut or any other male grooming needs. 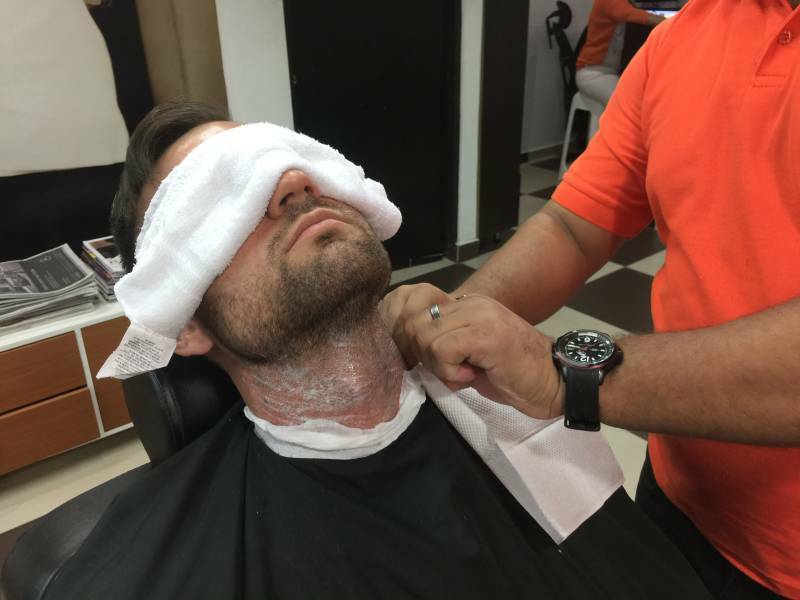 I love that it has a modern masculine atmosphere, provides excellent service, and most important… I receive a good haircut. 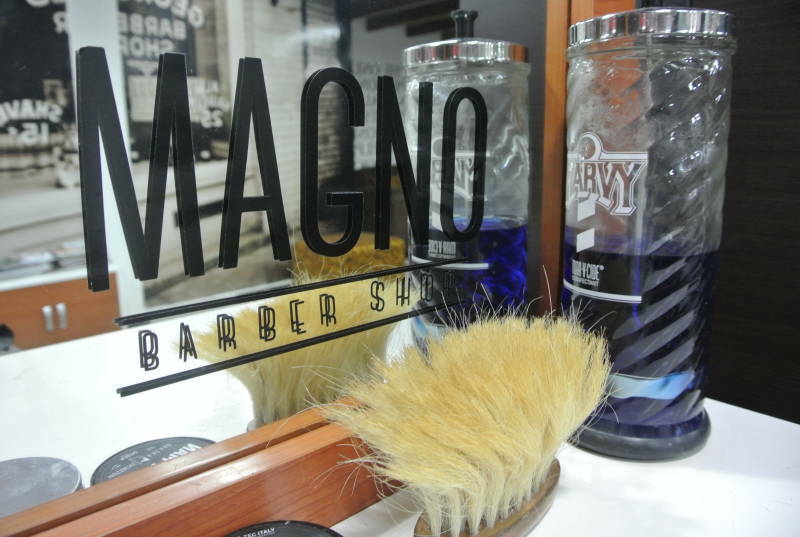 Since I started going to Magno, the guys have worked hard to make the place stand out and keep guys coming back. 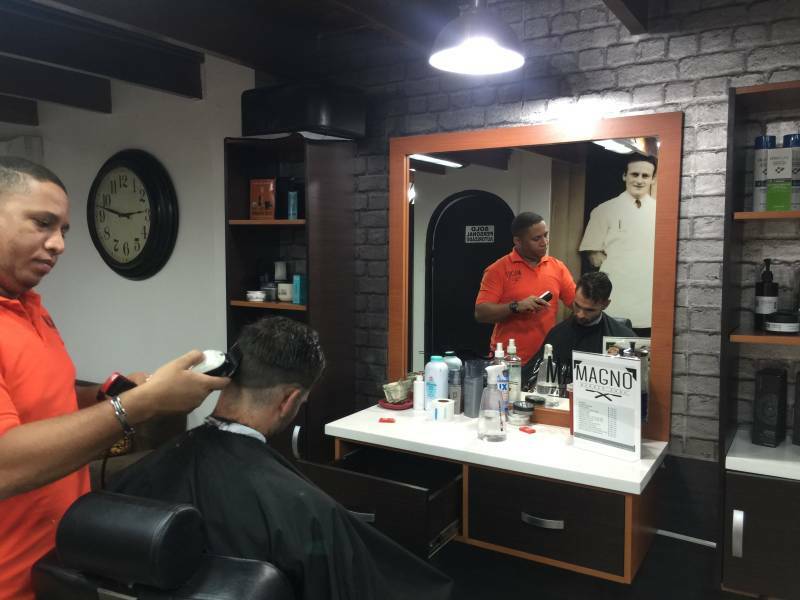 Their barbershop consistently provides a good haircut and shave, which is the number one priority. The new space is the perfect spot to hangout while waiting to get a haircut. 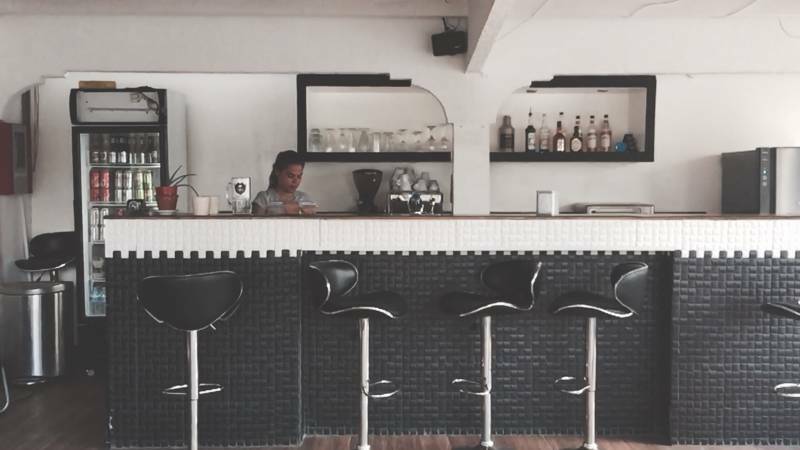 They serve premium coffee, cocktails, sandwiches, and salads in an open and inviting ambience, making a trip to the barber something that can be fun instead of a chore. 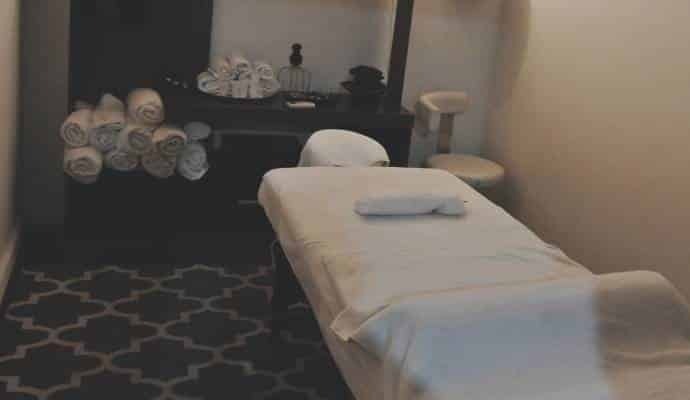 They’ve also completely revamped the second floor and back area to be the ultimate men’s spa where you can enjoy a massage, manicure or pedicure, hair removal, body scrubs, facials, and more. 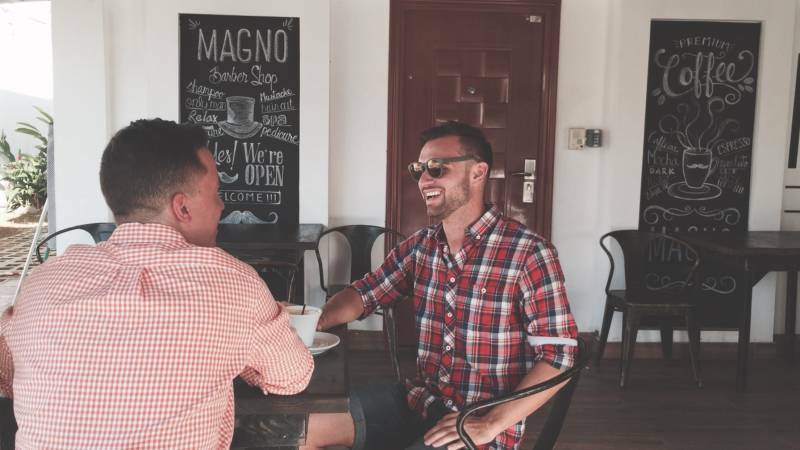 They are focused on providing these kinds of services to guys in a space they can be comfortable in. 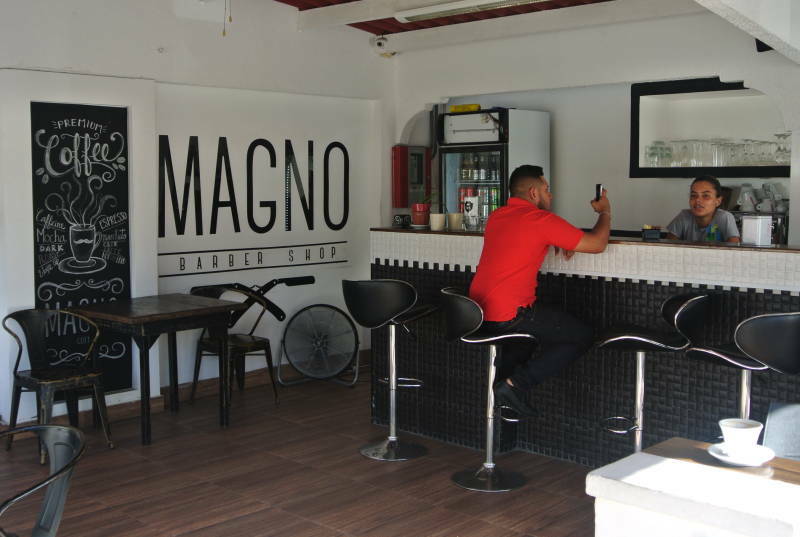 Come stop by and check out Magno for yourself! 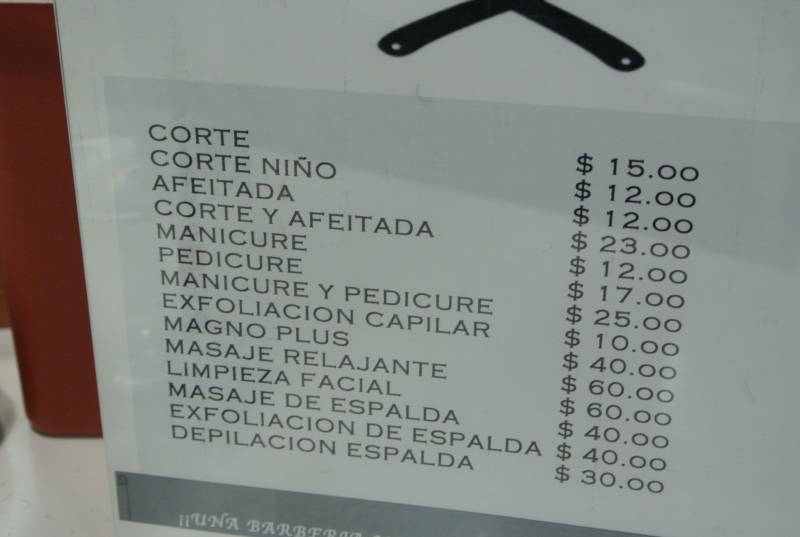 Men’s haircuts are just $15 and $12 for kids. 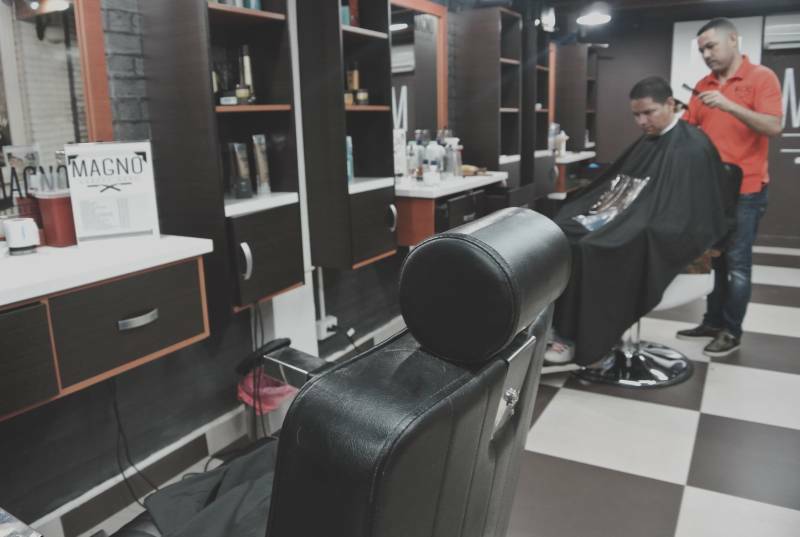 You can call 203 8149 or whatsapp +507 6341 9333 to book an appointment or just walk in and spend some time hanging out at the café until the next barber is available. They also have gift cards available which makes a great gift for guys for the upcoming holiday season. 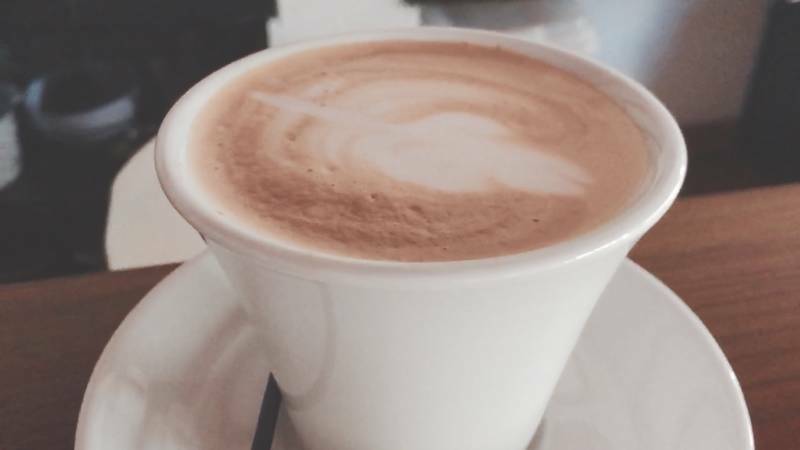 Also, I’ve worked out a special deal just for pty.life readers where you can get a FREE COFFEE during your next visit. 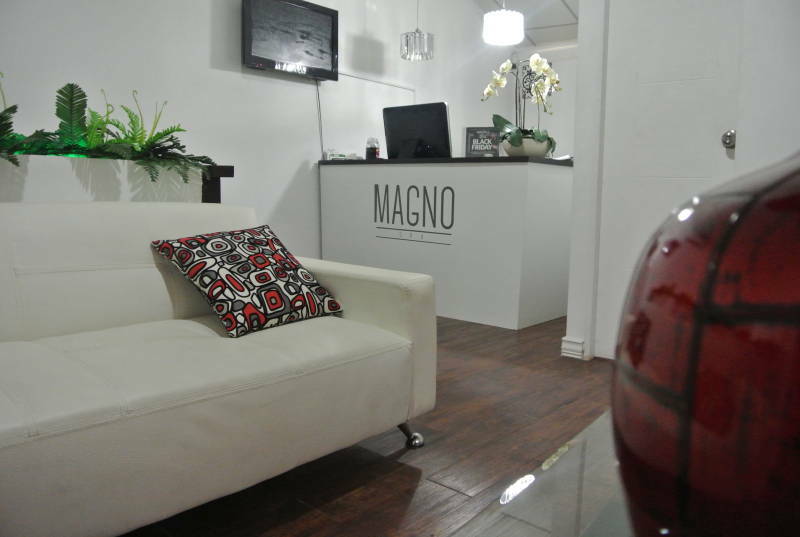 And if you’re a first time client of Magno you also get 20% off your first haircut! Just print off or present the above coupon on your cell phone during your next visit to receive your free coffee and discount. 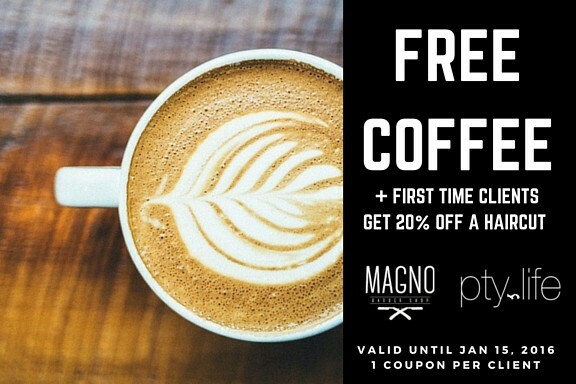 This is only valid until January 15, 2016 so stop by soon! 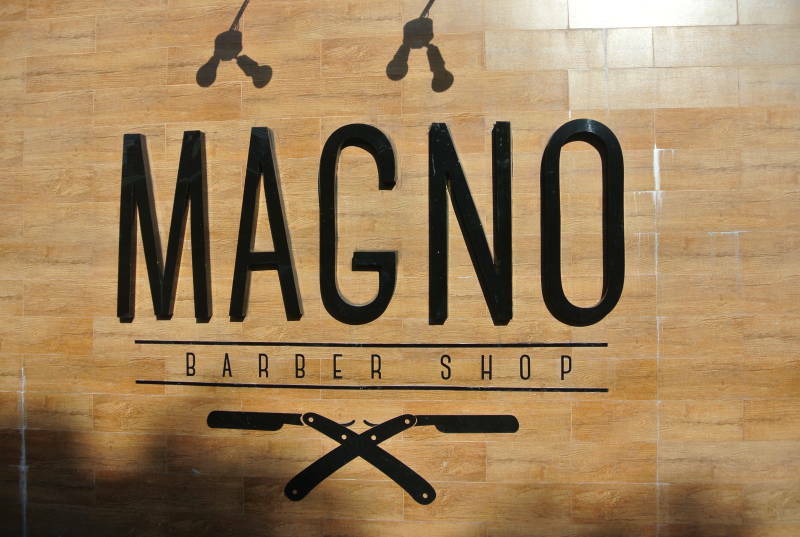 Magno Barber Shop is located on Calle 71 (Banesco Street) House 53 in San Francisco and they are open Monday – Saturday from 9 am – 8 pm. They can be contacted by phone at 203 8149 or whatsapp at +507 6341 9333. 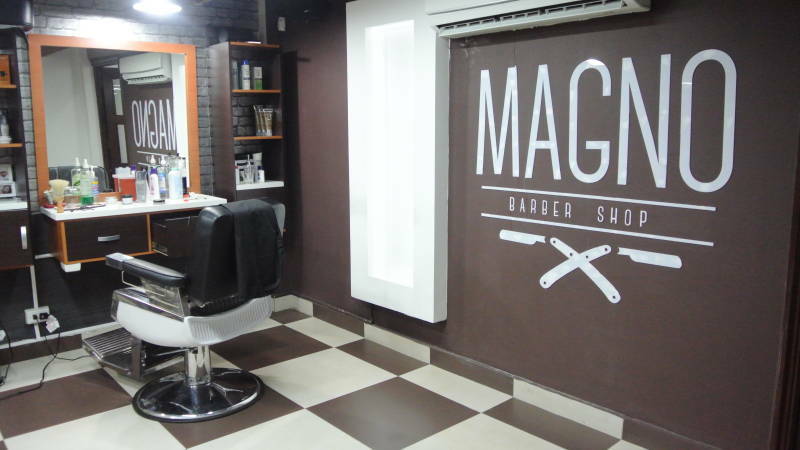 For more information about their services visit magnobarbershop.com and also be sure to follow their Facebook, Twitter, and Instagram accounts for their latest updates. 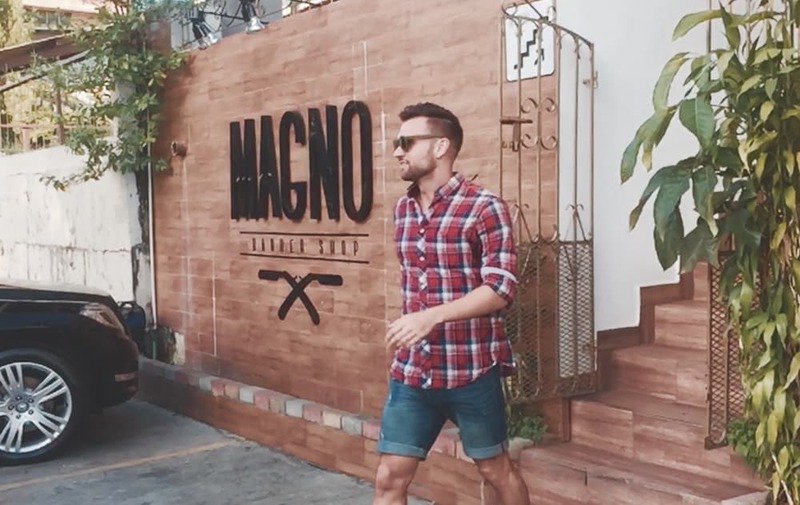 This is a sponsored post promoting Magno Barber Shop and I received compensation in exchange for writing this review. Although this post is sponsored, all opinions are my own and I will never publish anything that I wouldn’t go to myself. For information on promoting your business through pty.life visit THIS LINK. Joey Bonura after work, of course, don't remember the exact date. Haven't gone since. Nice venue, maybe need a host that can guide things better. Sorry to hear you had a long wait. When did you go? I can address the issue with the management to make sure it doesn't happen again. Best to go earlier in the day if you can since most people are only able to after work or on the weekends.